Wells Fargo reported net profits jumped 14% year to year in the first quarter of 2019. But the bank’s wealth investment management unit’s showing for the quarter was less encouraging. The unit’s net income was down $137 million, or 19%, in comparison to the first quarter of the previous year. The unit’s total client assets were $1.8 trillion, down 2% from a year ago. Net outflows ranked as the chief driver of the decreases, thought they were partially offset by higher market valuations, the company reported. C. Allen Parker, Wells Fargo’s newly appointed interim CEO, led for the first time a call with analysts about the bank’s quarterly results. He emphasized his focus to satisfy and exceed regulators’ expectations. “We know that some of our past practices have harmed our customers,” Parker told analysts. Parker met with regulators early last week, he told analysts. The regulators have persistently singled out Wells Fargo for enforcement actions since 2016, when allegations first surfaced that the bank, due to aggressive sales quotas, had led employees to open potentially millions of unauthorized bank accounts. In March, Tim Sloan, who had taken over as CEO after the unauthorized accounts scandal broke and was expected to overhaul the bank’s operations but had failed to please regulators, abruptly announced his departure, leading to Parker’s appointment. Prior to Sloan’s resignation, four bank employees reported that under his leadership the culture that led to that scandal remained unchanged, according to a Reuters’ account. The employees shared that assessment with U.S. Federal Reserve governor Lael Brainard, who has oversight on the government’s decree setting an asset cap for Wells Fargo until its risk management improves. As interim CEO, he’s overseeing a plan to “meet and exceed” regulators’ expectations for better operations, Parker told analysts. But he also warned them not to hold their breath for the moment when regulators give the bank the all-clear sign. “We are not going to prioritize urgency over getting it right,” Parker said. The company would not be announcing a timetable for when it expected regulators to lift the asset cap, Parker said. Coincidentally, on April 12, the same day Wells Fargo reported its earnings, an additional fee became effective on financial advisors’ clients’ accounts. The wirehouse announced in late January that most clients would get an annual fee of nearly six basis points. Wells Fargo Advisors then issued statements to clarify that the new fee would apparently be “cost neutral or slightly positive for clients,” because the firm would issue credits for platform support collected from mutual fund companies. The six basis points would translate to around $590 annually on an account with $1 million, according to the publication. Wells Fargo isn’t charging the new fee on certain retirement accounts such as ERISA and SEP IRAs. Wells Fargo’s advisors get no cut from the new fee. According to a Wells Fargo management memo cited by InvestmentNews: The fee will support services the broker-dealer maintains on its platform for all advisory accounts, including technology and record keeping services provided to mutual funds available on the advisory platform. And similar approaches have recently been implemented by some competitor firms. Clients who are subject to the new fee are eligible for rebates on revenue sharing from mutual funds, which could offset the new fee or even end up becoming a credit. 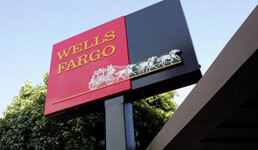 Wells Fargo will apply any eligible credit from the revenue sharing on the same day it applies the new fee, a Wells Fargo spokesperson told the publication. “While we expect the credit will vary over time, at this point, we anticipate this change will be cost neutral or slightly positive for clients when we implement the fee/credit in April,” a Wells Fargo spokesperson added. This week, the spokesman confirmed nothing had changed since the fee was disclosed. An FA who is part of the Wells Fargo independent channel FiNet, who did not want to be named, says he has been “proactively talking to clients about what to expect on their statements.” He tells them although they may not see any additional fees this time because of the credits, that the math may not always work that way. So far, clients have not ditched him or Wells Fargo because of the additional fee, the FA says.